I am constantly in awe of so many Women in my life who seem to do it all while Momming. I’m so inspired by these Women’s stories, and in fact, this is a huge part of what led my business partner and I to creating our business Hautebox. 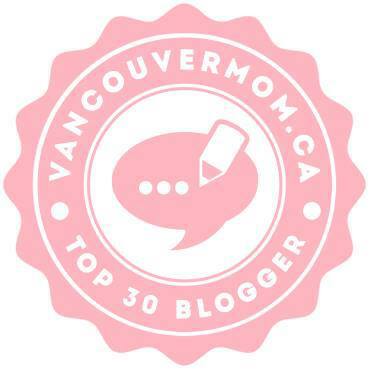 I decided a little while ago that I wanted to create a feature on my Blog to share their stories and accomplishments, so I am thrilled to be kicking off this new monthly feature, Mama Spotlights, with none other than Tage Lee (Instagram: @tagevancouver), author of the equally adorable and hilarious rhyming “kid’s book” (let’s be honest, this book is for us mamas! ), Mama Needs A Drink. I sat down with Tage to ask a few questions about her Motherhood journey, what is was like to publish her first book (an Amazon best-selling book, that is! ), and learn a little bit more about what’s behind our new favourite rhyming storybook that seems to so accurately describe how sometimes, being a Mama is just a tiny bit out of control. Let’s get to it! GM: What was the most unexpected thing about your journey into Motherhood? TL: The most unexpected thing was for sure how much help I would need. I have an “I can do it” attitude and I previously felt like I had so much control over my everyday life, so I had to remind myself that part of motherhood meant that it was ok to ask for help and it’s normal not to have your day go exactly as you planned. Oh, also those hormones. I needed reminders that feeling overwhelmed and crying for no reason those first few weeks (sometimes months later as well) was completely normal. GM: Most rewarding moments of Motherhood for you? TL: The nighttime snuggles, the contagious tickle laughs, and the “I love you Mama” after a long day. It’s most rewarding watching your dedication, hard work and endless love that you put into your mini me pay off when they become their own person. GM: Favourite line/phrase from Mama Needs a Drink? GM: Tell us how Mama Needs a Drink came to be - Where were you and how long did it take for you to mastermind this hilarious book? TL: I was sitting around our family cabin and a good friend I grew up with turned to me after a couple drinks and said, “You should write a book! You write it and I will do the illustration”, and I turned to her and asked her what it should be about and she said “anything!”. At the time, we were both on maternity leave and would joke that we just needed a glass of wine to take the edge off of having things not go to plan with our kids. The only thing I could think about writing about at that time was how Mama Needs a Drink. I wrote it the next day and finished about 90% of it within 48 hours, I got on a roll! I ended up hiring out another illustrator due to a schedule conflict and the specific style approach of the book but my friend was still very much involved as I hired her to do the branding and art direction of the book. I also worked with my illustrator, Vivian Mineker, to include my friend, her daughter and dog as characters in the book. GM: Did you ever think of writing and being published in any capacity prior to writing this book? TL: Absolutely not! I use to do funny toasts that would rhyme for friends on their birthday but it was definitely not on my radar to actually publish anything. I really put my mind into publishing this book because I thought it would be a great gift and I was tired of reading the same books to my daughter every night! I thought that this book would be a creative non-traditional gift to give to a new parent and the main intention was to provide a much-needed laugh to parents sitting down after a long day. TL: The term “It Takes a Village” has never been so true. Having supportive family and close friends near us has been such a blessing, everyone was a late night phone call away from asking a random “should I take her to the doctor” question. 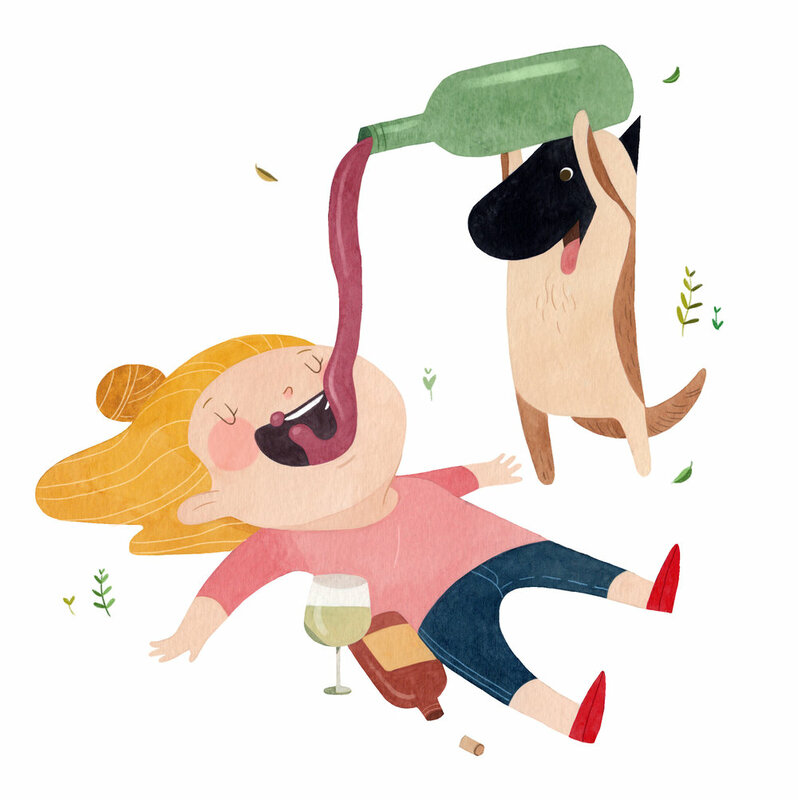 I thought it was important to include my sister in the book because she was such a big help and would always be the first one to run over to our place to hold her niece, let me shower, and be the first one to pour me a glass of wine at the end of a long day! Also, my husband is the oldest of 5 children, so we have an amazing crew of aunties and uncles that help out, as well as the most loving grandparents. We feel so lucky, they always make watching our daughter or helping out so effortless and guilt-free. Having my own daughter made my bond even stronger with my mother and mother-in-law; I remember reading an article somewhere that said, “they say it takes a village to raise a child, well it took a community of brilliant women to shape me as a mother”… and isn’t that the truth. GM: With time to reflect after your book’s launch, what can you tell us about the journey? From writing to publishing to now selling your book? How does it feel?? TL: It feels amazing!!! I had a great mentor Megan at The Self Publishing Agency that I trusted to help consult and navigate me through the industry and this process. I was grateful to have her lead the way, but publishing a book is no joke! There were many roadblocks and I still have questions that I don’t have answers for, as well as many more goals to accomplish with this one book. I’m really grateful for the suppliers that asked for the book early on and were confident in its success as well as all the friends and Mama tribes that have a good sense of humor and could relate. Looking back I also feel really lucky that in our day and age there is a platform like Amazon that prints on demand and can make this book available to anyone in the world with no upfront cost for the author. Overall, I can definitely say that writing the book was the easiest part of the whole process! GM: Can we expect to see more books from Tage Lee in the future? TL: I hope so! I have had such an amazing time through the process of publishing this book and watching it come to life. It’s truly been a passion project that has been incredibly rewarding and everyone has been so supportive. I will have to sit down with a glass of wine after a long day and see what I come up with next!! GM: Last but not least, where can readers pick up a copy? TL: Great question! You can order the book on Amazon, however they only print soft copy books currently with their print-on-demand service. Our hard copy books are beautiful quality and can be found in-store at select retailers (list is on getmamaadrink.com) or you can order a hard copy online via my friends at Hautebox. Haute tip (see what I did there)…if you really want to mom hard, don’t forget to pick up some lustrous high rise leggings (my fav), they are so comfy and make me look fancy at a playdate. Thank you Tage for letting me interview you and for a peek into your world! To follow Tage’s journey with Mama Needs A Drink, be sure to follow her on Instagram @tagevancouver as well as @getmamaadrink for a funny and lighthearted feed that will keep you reminded that Motherhood is meant to be messy and frustrating at times! Don’t take your missteps or the tantrums too seriously, and for Heaven’s sake, don’t skimp on the Pinot at the end of a long day!